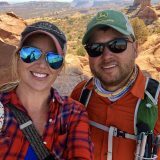 Heading to Alaska or other destinations in Canada? On the road or visiting family? Camp ‘N Class has all you require. 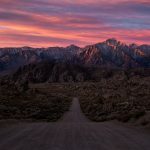 It is an exceptionally accessible park from AB-16A highway with a wide gated and paved entrance that welcomes you; very easy-off and easy-on. Camp ‘N Class 2019 Good Sam ratings are 9/10*/10 for good reason! 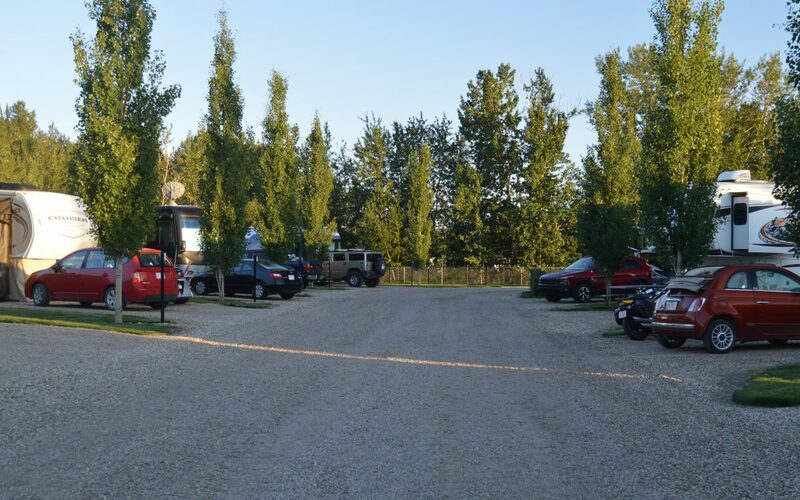 Our beautifully landscaped, level sites are big-rig friendly and we are the only Edmonton area RV park that offers WiFi & Cable TV. Plus, your pets are welcome too! We have a large, fenced area for your dogs to run free. 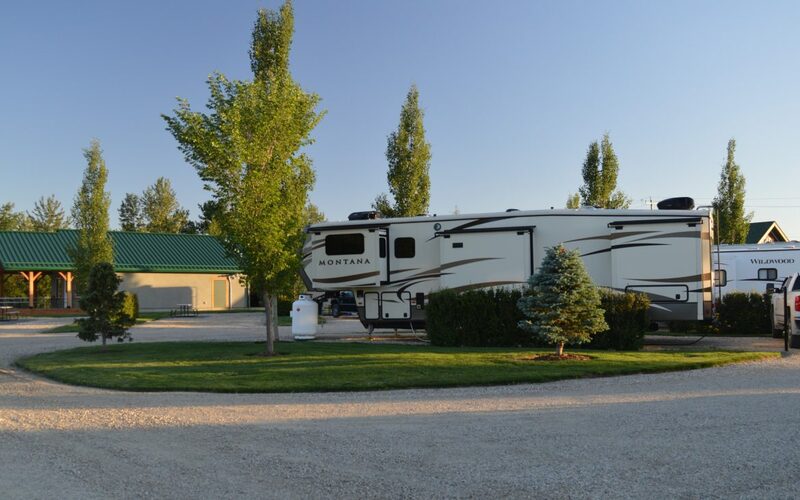 We pride ourselves on our friendliness, cleanliness & all the amenities an RV park should have. We are an easy walk, via our private pedestrian bridge, to Rotary park; which offers a large playground, walking and bike paths and more. 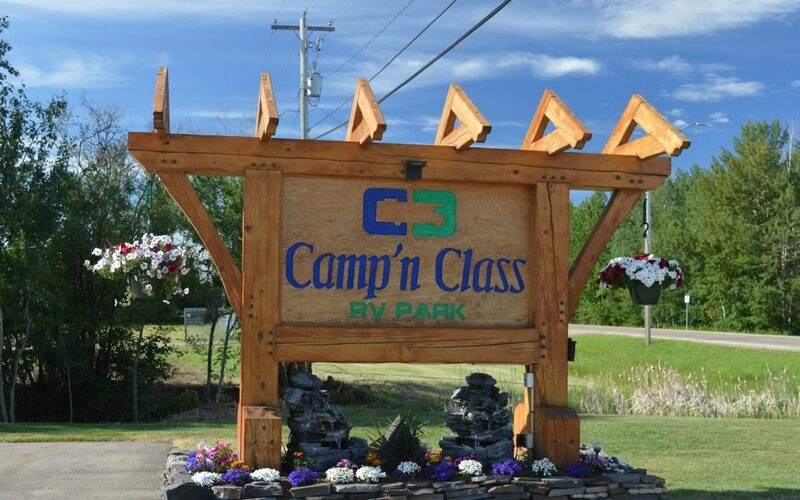 Camp ‘N Class is a new, fully serviced, fully gated RV Park located in the heart of the Town of Stony Plain. 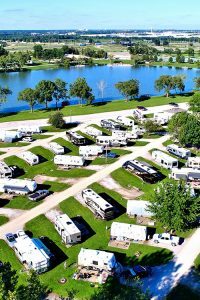 Our Premier RV Park has 77 full-service RV sites in total including 34 Pull Thru sites. Need a place to gather family or a large group? Camp ‘N Class has that too! Our new, well-equipped multi-purpose building includes a large meeting room with tables and sound equipment, TV, restroom and more. Ask us about it! 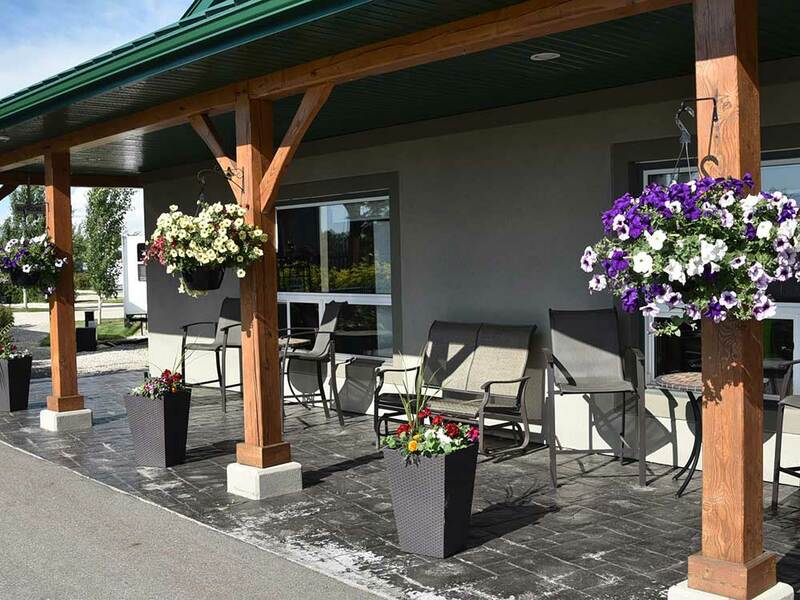 Located in Stony Plain, a suburb of Edmonton, there are so many reasons to stay a while. Camp ‘N Class is an easy drive to West Edmonton Mall; with its excellent shopping and indoor amusement and water park. River Cree Casino with its diverse restaurants is just down the road as well. Camp ‘N Class is walking distance to local shops, visitor center, grocery stores & restaurants; including the legendary Canadian coffee shop – Tim Horton’s. STAY…in luxury. 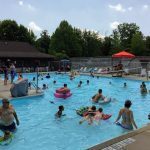 Every site has full hookups, cable tv, and WiFi, which are available year-round, with town water, a paving stone patio, gravel pad and a picnic table. Stall sizes are 60ft-70ft long.